By keeping track of the latest development, we are offering a wide array of Cosmetic Machinery. which is used for manufacturing various liquid products (such as detergent, shampoo & shower gel). Our plant integrates mixing, homogenizing, heating, cooling, pump discharge finished products and defoaming (optional) functions. 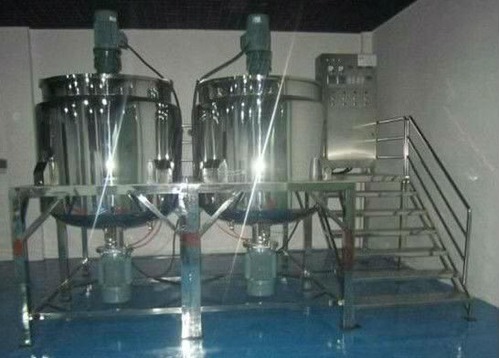 Its blending system adopts single-direction or double-direction wall scraping blending and frequency converter for speed adjustment to satisfy production of high quality products according to customer requirements.